Will Mark Lund be able to turn around the fortunes of McCann Worldgroup UK when he takes the hot seat as chief executive in October? John Tylee assesses the scale of the diplomatic test that lies ahead. Future results will determine whether McCann Worldgroup UK and Mark Lund, its chief executive-in-waiting, is a marriage made in heaven. At the moment, their coming together looks more like a marriage of convenience as each looks to the other to help them to a better place. For McCann, the hope is that, in Lund, it has found somebody with the combination of gravitas and managerial and diplomatic skills who can evolve a somewhat disparate group into a truly integrated operation more closely mirroring McCann in New York. For Lund, 55, the job he takes up in October offers the chance to return to the big account handling and management roles in which he has always been most comfortable, but which were mostly denied him at Now, the agency he co-founded. McCann Worldgroup says Lund’s role will be broader than that of his predecessor, Chris Macdonald, now the president of McCann New York, whose primary focus was on London. "Mark thrives in a larger environment and will relish the cut and thrust of it," Paul Phillips, the AAR managing director, predicts. Lund denies that frustration at Now not moving into a bigger league precipitated his departure. It was more that the next generation of management left him less involved, he claims, as well as the galvanising effect of a meeting with Luca Lindner, the Worldgroup president. He is likely to keep a "passive" shareholding in Now, but insists this won’t cause a conflict of interest: "If it does, we will find a way around it." Certainly, Lund arrives at McCann with expectations high. Rupert Howell, the Trinity Mirror group transformation director and a former McCann EMEA regional director, says: "This is a real coup for McCann. Mark is one of the best agency chiefs of the past 20 years." Greg Delaney, with whom Lund helped set up Delaney Lund Knox Warren 14 years ago, agrees. "McCann is a perfect fit for him," he says. It’s fair to say that the past few years have not been the most professionally fulfilling for Lund. Before the energy-sapping experience of helping to launch Now, there was his torrid two-year stint as the chief executive of COI when he had to manage it out of existence. Some, though, believe he will have benefited significantly from that experience. "McCann may be complex but, compared with running COI, it’s a walk in the park," a source says. However, not everybody believes Lund is in for a casual stroll. One problem seems to be the bewildering reporting structure under which some operating companies file their figures in the US. The ad agencies in London, Birmingham and Manchester, along with Weber Shandwick, MRM Meteorite and FutureBrand, are said to account for most of the UK group’s annual income, estimated to be £150 million. Weber Shandwick had a fee income of £38 million last year, according to estimates by PRWeek. However, a McCann Worldgroup spokesman in New York insists that, while some UK operating companies will have a dual reporting line, all of them will still report to Lund. "We’re looking to Mark to drive growth across all the business units," he says. "He can’t do that properly without having full responsibility." Lund is adamant this doesn’t mean he’ll be swinging the axe, but says he "won’t be drawn on individual cases" when asked if he thinks the right leaders are in place. Certainly, the group continues to suffer from a perception of being old-fashioned, unwieldy and what one leading intermediary calls "tarred by the Interpublic brush". Moreover, its new-business record of late has been less than stellar. What’s more, the McCann ad agency talent pool looks shallow after the departure of Macdonald and Nikki Crumpton, the group’s joint chief strategy officer for EMEA, who has joined Mother. Zaid Al-Zaidy, the former McCann London chief strategy officer who was catapulted into the chief executive’s role in October last year, has also been left with a heavy burden to bear. "Al-Zaidy is confident but gets mixed reviews," an industry source says. "He needs a mentor." It’s clear that Lund will need all his diplomacy to bring synergy and focus to a group with a lopsided look to it. "Birmingham and Manchester are very profitable businesses with happy clients," an IPG source explains. "The real issue is London, which, historically, has been a centre for international business but doesn’t have much left, although the recent Microsoft win should help. Yet it has very successful operating companies such as MRM and Momentum, which makes it difficult for London to be as fully integrated as Manchester or Birmingham." Phillips expects a Lund-led operation to adopt a WPP-style "dream team" approach to attract more big clients. Lund says: "WPP has used ‘dream teams’ with varying degrees of success. It’s something we will look at." The hope within McCann is that Lund will prove a game-changer. "For one thing, he doesn’t come from one of the operating companies, so he has no bias," an insider says. "For another, he’s got enough gravitas to be able to open communication with senior people. The current team can’t do that – it doesn’t have the connections." 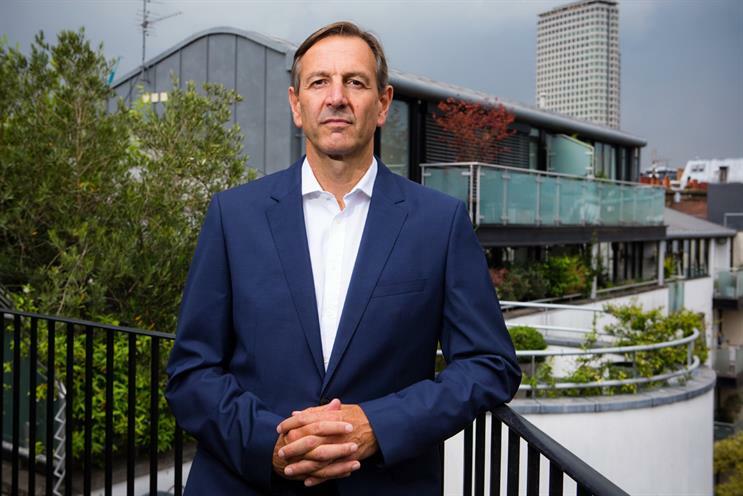 Lund reckons he’ll be happy if, within three years, the group has chalked up some significant wins and more work from existing clients shared across the group. But this will be achieved through coaxing, not coercion. "Dictatorship doesn’t work in a creative business," he says. "You have to take people along with you. And you can’t do that by shouting orders through a megaphone."